Went out at first light to do some surf fishing in South Melbourne Beach. The bite started slow, but picked up a good bit with the sun’s ascent. 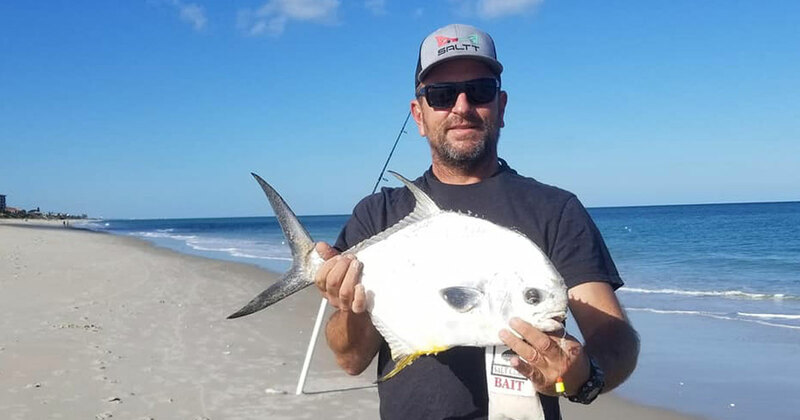 There’s still pompano out there, and I’ve heard positive reports indicating the same from all over our coast. With these conditions, I expect the fish to be biting all day through the beginning of this week. 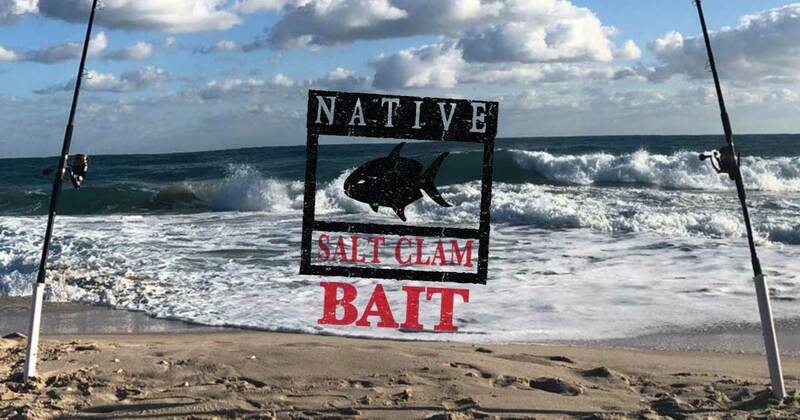 Give it a go and try putting a Native Salt Baits product on your hook — the results may surprise you! My son Fin and I got to fish twice last week. 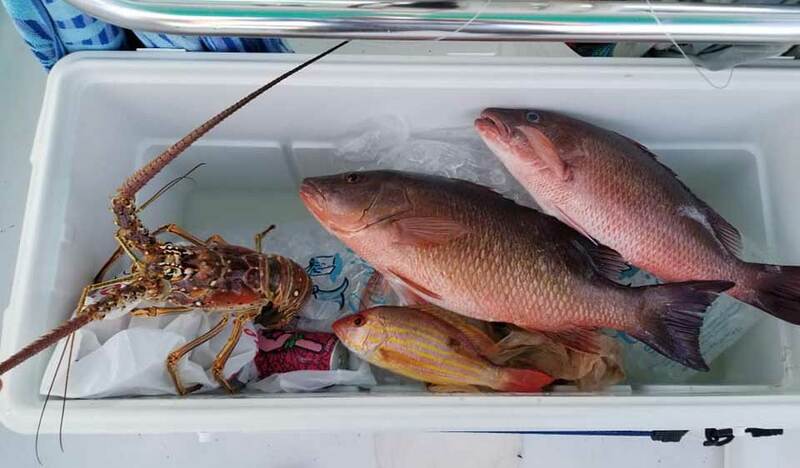 Our first trip was an evening offshore adventure to 70 feet of water outside Sebastian Inlet. Having a mild wind and chop we were able to run about 30 knots which is always a thrill, especially at night! Fin likes to lay on the back deck gazing up at the blanket of stars. 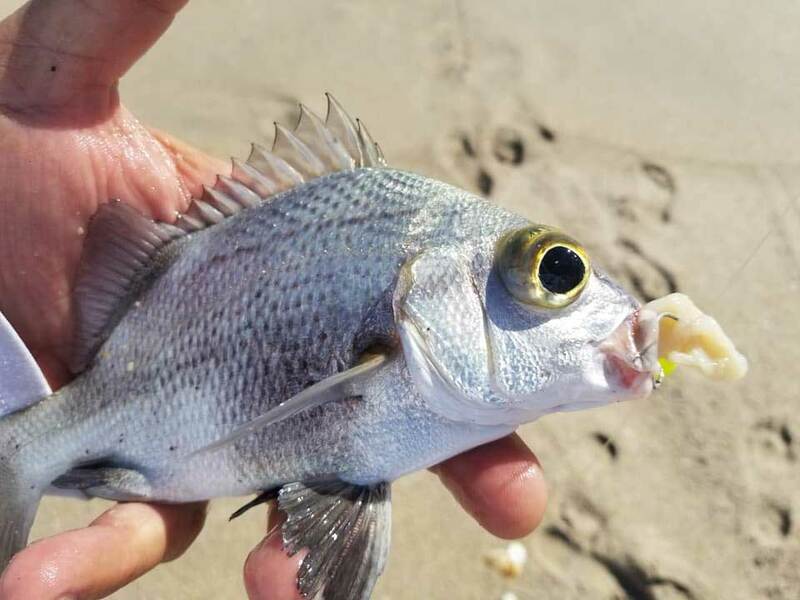 I caught that fish on a rod and reel which I use to throw my 5 oz Sputnik connected to a Pomp Boss rig baited with native salt clam. The beach was quite calm so I walked out into almost chest deep water before casting out my rig as far as possible. I headed out at 5:00 pm for a night trip offshore out of Sebastian Inlet. 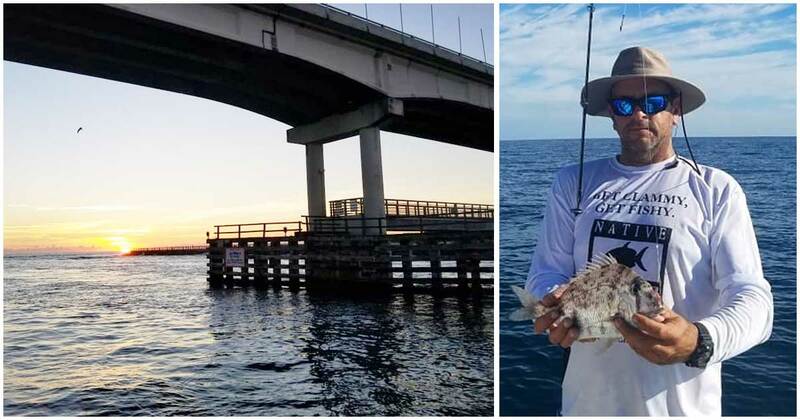 Accompanied by Native Salt Clam Bait pro staff angler, Capt. 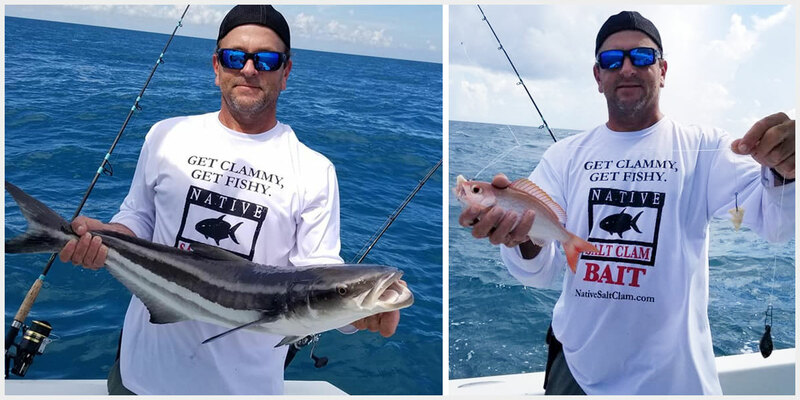 Jesse Austin, we were hoping to catch a bunch of snapper and were looking to pull other species like blackfin and cobia off any available shrimp boats. 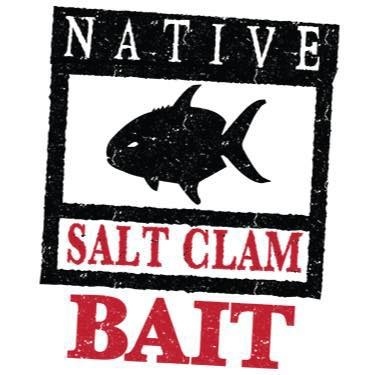 The other goal was to fish with the entire variety of Native Salt Baits, including salted clam chum, to really put these products to the test. 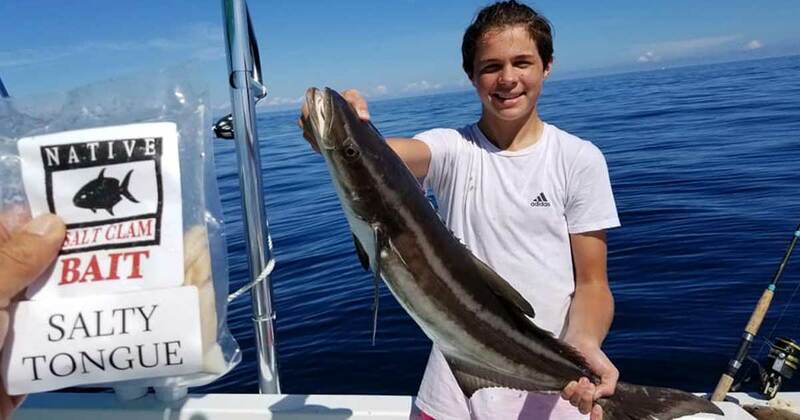 We went fishing offshore yesterday, east of Sebastian Inlet, and caught a bunch of fish including several short cobia. We didn’t have a net, so we ended up losing two keepers while messing around at the rail trying to gaffe them. Trying to stick a 15 pound fish with a gaffe made for yellowfin tuna is not easy! On the bright side, we are now convinced that cobia really like the clams. Our first attempt to do some surf fishing was at Ponce De Leon beach, but there were way too many surfers to fish. Next, we headed a bit south of Sebastian Inlet and caught some catfish and few other random species. 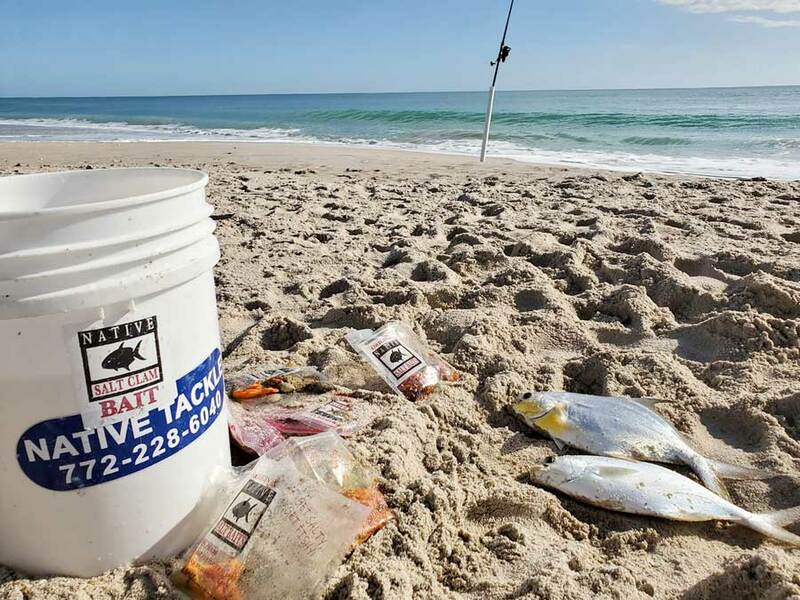 Live croakers and bigger silver mullet are deadly for snook on the beach right now during the finger mullet run. To get setup on the beach, make a double or triple drop rig with 40 pound test and attach it to a 5 oz pyramid sinker on the bottom of the rig. Finn and I went offshore East of Sebastian Inlet to 80′ depth. There was lots of action on the Native Salt Clam Bait. 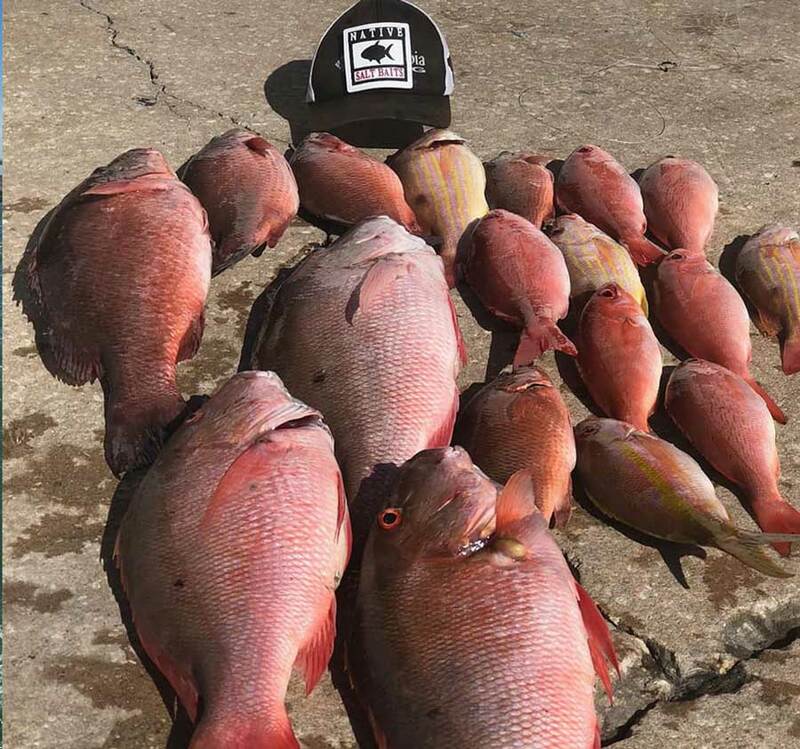 We landed two really nice trigger fish, a fat mangrove snapper, a good keeper cobia, along with the mackerel and some vermilions. We went offshore out of Sebastian Inlet to 80′ depth and anchored up. 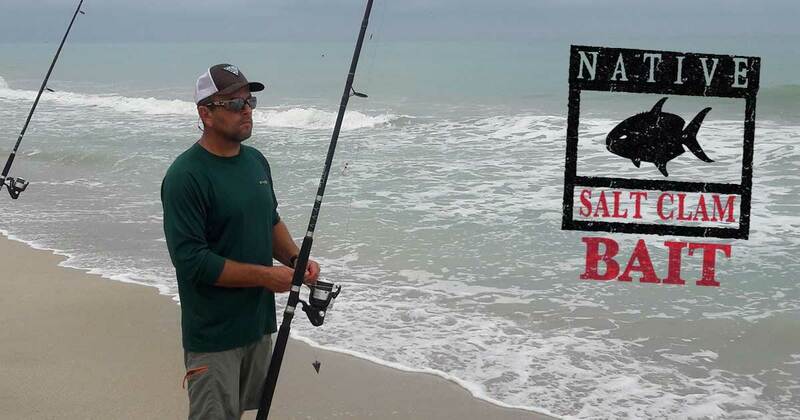 We landed two keeper Cobia on chicken rigs off the bottom using Native Salt Clam Bait.